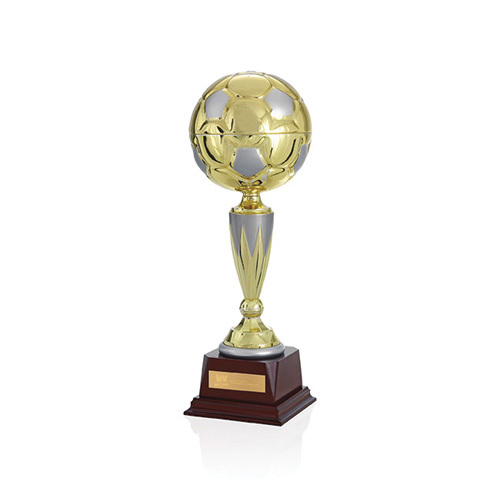 Top Score Trophy - 13" Towering gold metal soccer ball with silver accents.Gold metal soccer ball on tower with silver accents. Sits on a wooden base. Bulk / 14 lbs / 6 pcs.